I dug this tiny boat up from a patch of dirt when I was a child. For years I kept it in a small box along with other knick knacks from that time in my life. Then, last year, I found it and wondered if I could shine it up. So I did, and discovered that beneath the grime it was this exquisite little pendant. 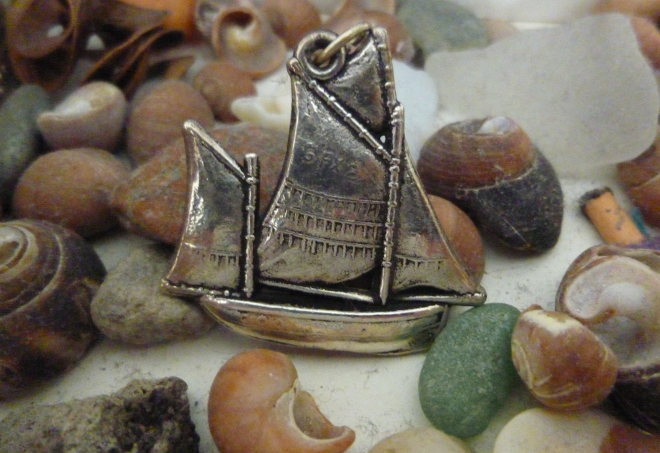 Who might have owned this miniature ship originally? Who gave it to them, and why? How did they come to lose it?